With the Pizza Hut survey, customers like you get to share honestly about experiences and services at the restaurant. Pizza Hut is provided with valuable information, while you are eligible for entry to their sweepstakes. For anyone seeking additional information about the Pizza Hut survey and the company, we’ve provided all that and more in our brief guide. What started as a dream back in 1958 by two Wichita State University students, Pizza Hut has since become a national and international sensation. The franchise specializing in Italian-American cuisine, mainly pizza and pasta, has thousands of locations worldwide. The Pizza Hut survey is your opportunity to provide candid feedback about your experiences with the restaurant. In exchange, you will entere into a sweepstakes to win cash prizes. You should expect to see basic questions about your most recent trip to Pizza Hut, answering your satisfaction with various services. Also, you will be asked to enter personal information for the sake of the sweepstakes. 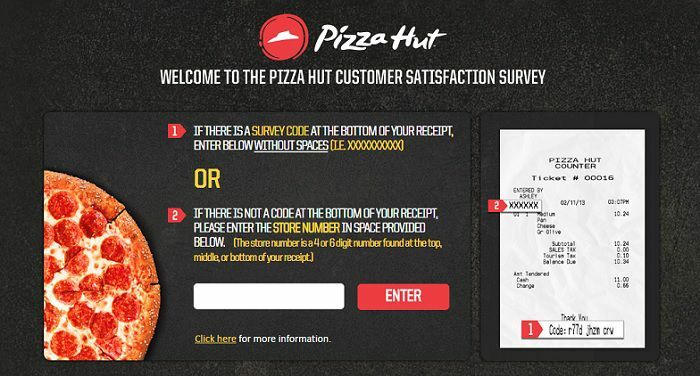 There are a few different ways to enter the Pizza Hut survey. 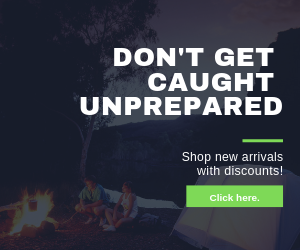 If you choose the online version, you must have a good Internet connection and keep your receipt to enter either the code or the store number. You can also take the survey via telephone, text message, or through mail-in entry. No purchase is necessary for the mail-in entry. Mail-in option: For the daily sweepstakes, you can mail an entry to: [Month/Year] Mail-In Entry, c/o EMPATHICA DAILY SWEEPSTAKES, c/o [Name of Participant], 511 Avenue of the Americas, #40, New York, NY, 10011. Second Mail-in option: [Month/Year] Mail-In Entry, c/o EMPATHICA WEEKLY SWEEPSTAKES, c/o [Name of Participant], 511 Avenue of the Americas, #40, New York, NY, 10011. Telephone/Text: Call the toll free number on the receipt to enter the telephone survey and respond to the prompts. You can also text your response to the number provided in the invitation instructions. Online: Go the Pizza Hut survey website and select Spanish or English to continue. Enter the survey code on the receipt to begin. If you don’t see a survey code, then enter the store number that’s also located on the receipt. You’ll also enter other information from the receipt such as time/date of visit. Answer the survey questions as best as you can, rating your satisfaction with the service you received and the products. You’ll be asked if you want to receive further promotional information, and to enter your email if you wish to. Once you’re done, you’ll provide your contact information. At the end of the survey, you’ll be informed that you’re entered for the sweepstakes. For those of you looking to check out more about Pizza Hut in general, feel free to visit their official website. The Pizza Hut survey has its own website. If you are taking the U.S. version of the Pizza Hut survey, then you must be a legal resident of the U.S., District of Columbia, or Puerto Rico. You must be over the age of majority, which is typically 18-years-old. Your eligibility is void if you are, live with, or an immediate family member is an employee. There are two rewards: a daily prize of $1,000 or a weekly prize of $500. Generally, Pizza Hut hours of operation are similar across the country. They contain minor differences such as some restaurants running from 11 AM – 12 AM while others open from 11 AM to 10 PM. Carryout hours and delivery hours especially tend to differ from each other. If you want to determine more precise hours, look to your local store. Although Pizza Hut first started up in Wichita, Kansas, the restaurant chain has grown a great extent across the U.S. and the world. They operate over 15,000 locations. To narrow down a Pizza Hut nearest your location, you can use their store locator. Pizza Hut has a thorough contact form you can fill out if you wish to get in touch with the company. If you wish to speak with someone, you can call your local store or call the U.S. customer service line at 1-800-948-8488. You can also connect with Pizza Hut on Facebook, Twitter, and YouTube.